This Tablecloth is completely sparkle Fushia Pink sequins. 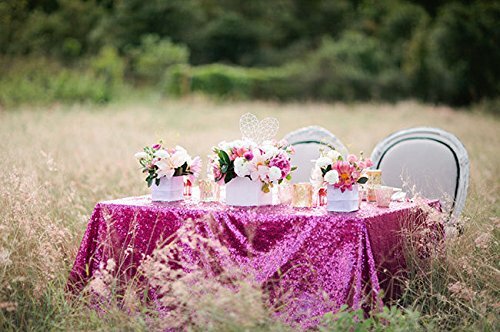 This tablecloth has sequins all over perfect for any party, wedding, or just for fun. The mint sequin colour is popular used as part of candy buffets or tablescapes. Our linen is hemmed and machine stitched to the highest quality.
? Exhibitions – add some extra sparkle when exhibiting at fairs and markets by adding a sparkly sequin tablecloth or runner.